The major international BJJ event “Pan Jiu-Jitsu IBJJF Championship” took place in Irvine, USA, last week. Ukrainian fighters of the SC “Borets” Yaroslav Blazhko and Roman Nepota were also among the participants. 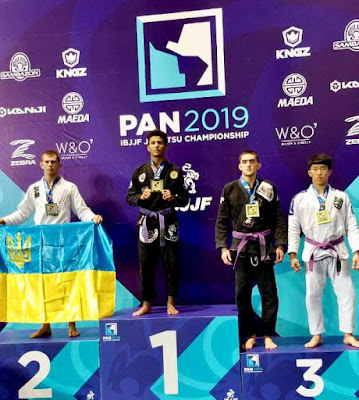 According to results of the competition, Yaroslav Blazhko took the silver of the “Pan Jiu-Jitsu IBJJF Championship” in the category of purple belts up to 70 kg among adults. Yaroslav masterfully had 3 fights but lost in the final match to Brazilian opponent. 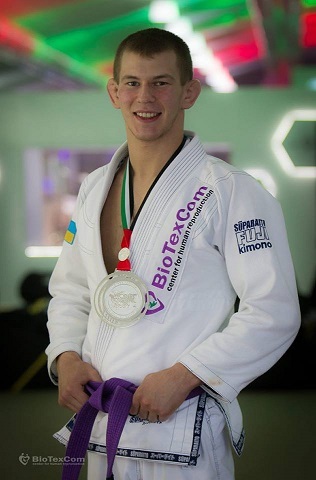 Whereas, Roman Nepota also took part in 3 fights in the category of purple belts up to 76 kg among adults. Roman gained the hand in 2 matches. However, Nepota was defeated by the 3-time world champion Andy Murasaki during the 3rd fight. The “Rome Spring International Open IBJJF Jiu-Jitsu Championship” will be held in Rome, Italy, in a few weeks. The competition will take place in the PalaPellicone Sports Complex on April 6-7. Sportsmen of three age categories are welcomed to participate: juvenile (16-17 years old), adults (18+ years old), and masters (30+ years old). Closing date for applications is set on March 29. Fighters will be able to compete both in Gi and No-Gi formats. This championship is organized by the International Brazilian Jiu-Jitsu Federation. 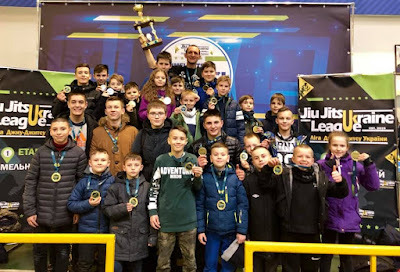 The first stage of the “Jiu Jitsu Ukraine League” championship has taken place in Khmelnytskyi city this weekend! Almost 400 sportsmen from all-over Ukraine showed great BJJ skills in Gi and No-Gi categories. The SC “Borets” team (Kropivnitskiy city) also successfully competed at the Ukrainian championship. Sportsmen took the 1st team place. In total, athletes received 23 gold, 5 silver, and 3 bronze medals. Furthermore, younger sportsmen got 4 cups in the absolute categories among children! The “Orlando Spring International Open IBJJF Jiu-Jitsu Championship” will be held next month in Orlando, USA. The championship will take place on the territory of large-scale sports complex “Silver Spurs Arena” on 6 April 2019. Fighters of three categories, juniors, adults and masters are welcomed to participate. 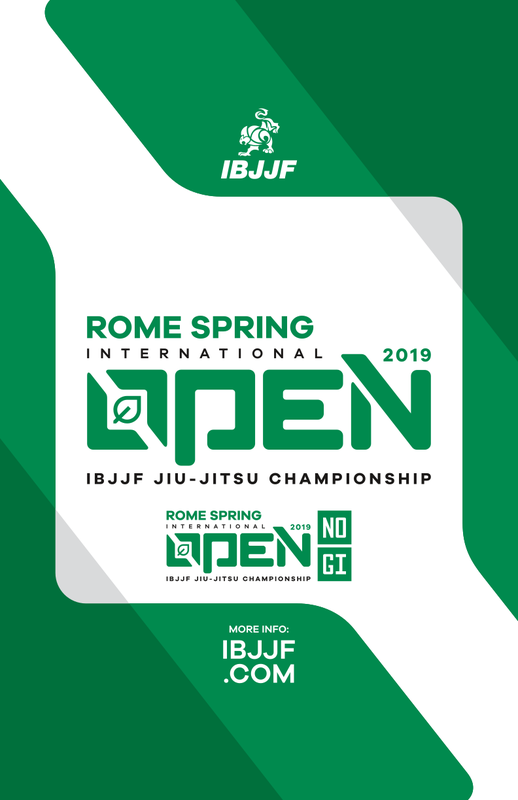 The “Orlando Spring International Open IBJJF Jiu-Jitsu Championship” will be held under the International Brazilian Jiu-Jitsu Federation patronage. Registration for the championship is open until 29 March. Organizers of the event emphasize that participants of this championship will feel an incredible competitiveness and receive a unique experience. 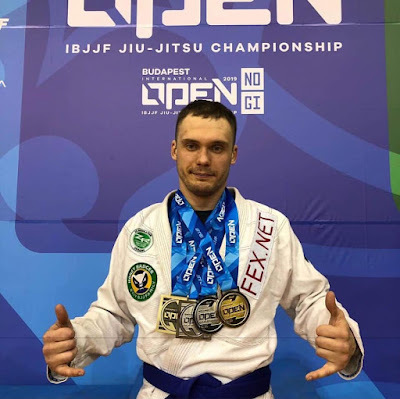 The major international championship “Budapest International Open IBJJF Jiu-Jitsu Championship” has ended recently. Fighters from all over the world gathered at the sports arena in Hungary to show their BJJ skills! 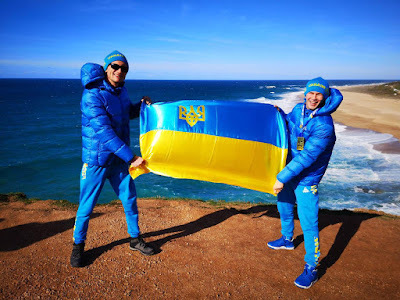 Pavlo Bushkov, Ukrainian fighter from “ZR Team Association”, has honorably represented his country at the championship. Pavlo successfully debuted both in the Gi and no No-Gi categories among blue belts. According to the results of the championship, in the No-Gi category, Ukrainian fighter won gold in the absolute weight and silver in his weight category. In the Gi, fighter took silver medal in his weight category and bronze medal in the absolute weight. Pavlo Bushkov received blue belt recently, after successful participation in the “European IBJJF Jiu-Jitsu Championship 2019” that took place in Lisbon. Sportsman got his belt from Professor Max Carvalho, Coach Dmitry Bezuglyi, and Professor Ze Radiola. Leading fighters of the SC “Borets” Yaroslav Blazhko, Serhii Krasovskyi and Roman Nepota will take part in one of the top BJJ events “Pan Jiu-Jitsu IBJJF Championship”. The championship will take place at the “Bren Event Center” arena in Irvine, USA, on March 20-24. It should be reminded that Ukrainians failed to win prizes last year. Therefore, this year Ukrainian sportsmen primed only for victory and have been training hard. 40 fighters will compete in purple belts category with Yaroslav Blazhko. Meanwhile, 56 fighters of purple belts will participate in Roman Nepota`s category. Serhii Krasovskyi will perform along with 11 fighters in the category of blue belts among juniors. 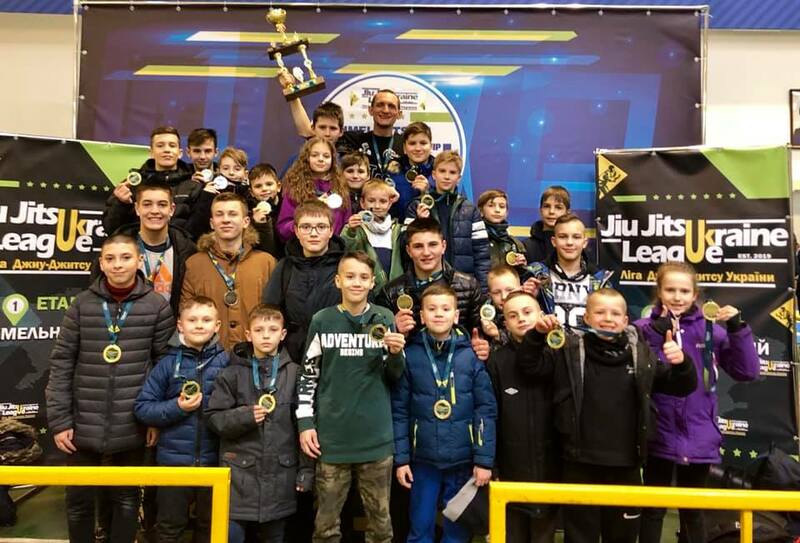 According to the head coach of the club, Ievgen Skyrda, his fighters are going to win the gold of the “Pan Jiu-Jitsu IBJJF Championship” this year.